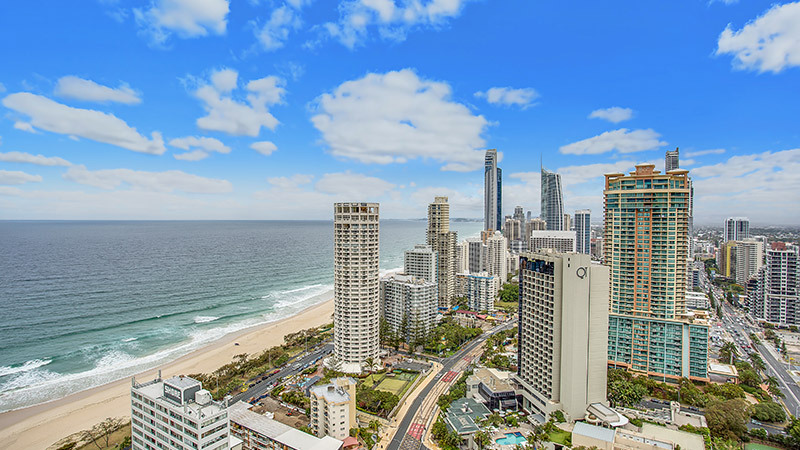 Located in Surfers Paradise, the heart of the Gold Coast, Mantra Sun City offers accommodation for couples and families looking for a relaxed beachside getaway. With the beach just one block away and direct access to a variety of local attractions including famous theme parks and casual and fine dining restaurants, you won't be short of things to do on your holiday. Our resort offers 190 Aztec inspired Hotel, One, Two and Three Bedroom Apartments and Penthouses most featuring private balconies with breathtaking ocean or hinterland views. 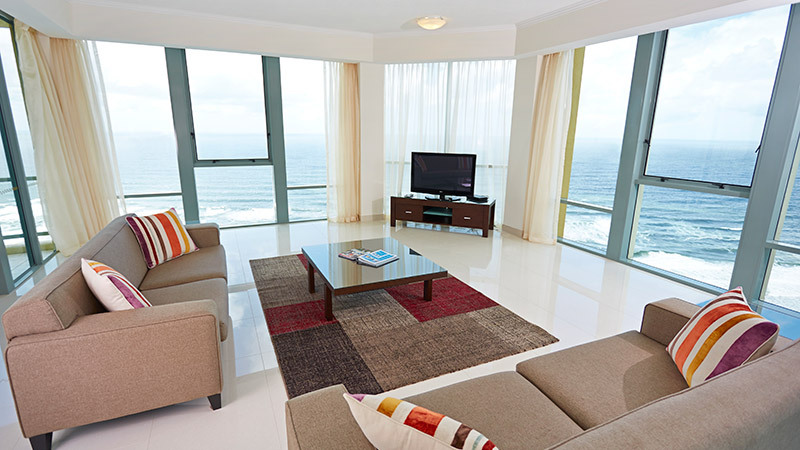 All our Mantra Sun City Gold Coast apartments feature a fully equipped kitchen as well as laundry facilities and round the clock entertainment with Foxtel TV. When you're not out exploring Surfers Paradise and the Gold Coast, take a walk around our hotel which features unique Aztec-inspired architecture and design set amongst lush tropical gardens. At the resort we offer many facilities with a lagoon style pool complete with waterslides, as well as an indoor pool and spa, tennis courts, sauna and Koastal Kitchen. 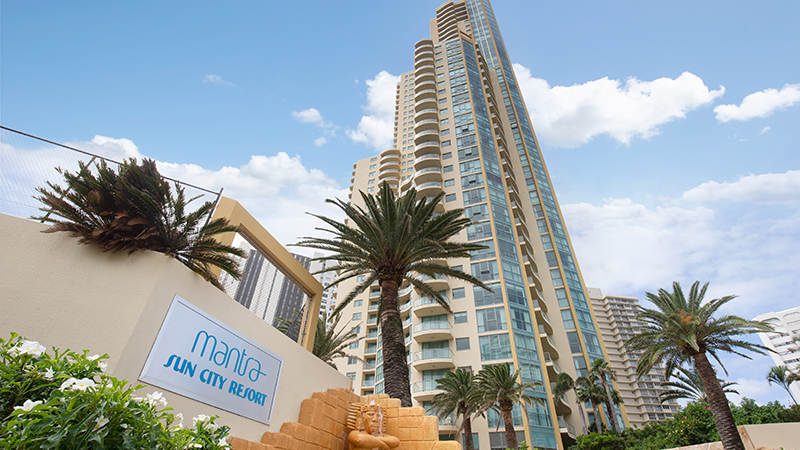 Mantra Sun City is one of several Surfers Paradise accommodation options provided by Mantra on the Gold Coast.